The price of Bitcoin has been dropping this year. A PROMINENT economist has slammed bitcoin and other cryptocurrencies as "the mother of all scams" and blockchain as the "most over-hyped technology ever". New York University's Stern School of Business professor of economics Nouriel Roubini - often referred to as "Dr Doom" for correctly predicting financial crises - has long been a critic of digital currencies. Appearing before the US Senate banking committee hearing last week, Mr Roubini said the cryptocurrency market had "now gone into a crypto-apocalypse as the mother and father of all bubbles has now gone bust". 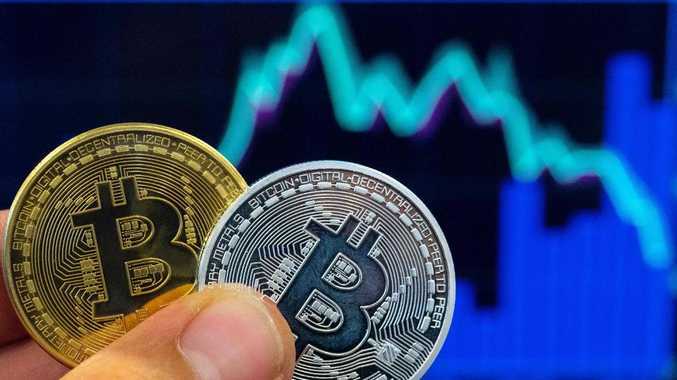 Bitcoin has lost about two thirds of its value since peaking at $US20,000 in December, with the digital currency hovering around $US6000 for most of 2018. About 2000 other tokens, the majority of which move in sync with the bitcoin, have fared worse. "Scammers, swindlers, criminals, charlatans, insider whales and carnival barkers tapped into clueless retail investors' FOMO and took them for a ride selling them and dumping on them scammy crappy assets at the peak that then went into a bust and crash - in a matter of months - like you have not seen in any history of financial bubbles," Mr Roubini said. "A 70 per cent capital loss was a 'good' deal compared to thousands of alt-coins - otherwise better known as s**tcoins - that have lost on average 95 per cent of their value since the peak. Actually calling this useless vapourware garbage a 's**tcoin' is a grave insult to manure that is a most useful, precious and productive good as a fertiliser in agriculture." Mr Roubini touched on many of the common criticisms of bitcoin - its high transaction fees, wildly fluctuating price, massive energy requirements of "miners" and lack of protection from fraud, theft or loss. On cryptocurrencies generally, he argued they have no intrinsic value compared with fiat currency, and that blockchain was "nothing better than a glorified spreadsheet or database". "Blockchain's ideology is politically born out of the same mentality as libertarian right wing conspiracies or extreme left anarchism," he said. "All governments, central banks, moneys, institutions, banks, corporations, entities with reputation and credibility build over centuries are evil centralised concentrations of power that literally need to be destroyed." The reality, he argued, is "just the opposite". "A bunch of self-serving greedy white men - very few women or minorities are allowed in the blockchain space - have pretended to create billions of wealth out of nowhere while pretending to care about billions of poor and unbanked human around the world," he said. Mr Roubini also took a number of shots at ethereum creator Vitalik Buterin, saying he had been promising to deliver a more scalable "proof of stake" system since 2013 and blasting the cryptocurrency's "buggy" smart contracts. "I officially predict a financial crisis some time between now and 2021," Mr Buterin wrote on Twitter in response. "Not because I have any special knowledge or even actually think that, but so that I can have a ~25 per cent (or whatever) chance of later being publicly acclaimed as 'a guru who predicted the last financial crisis'."